Thanks to our generous community, our 2018 coat drive has already received and distributed 402 coats! 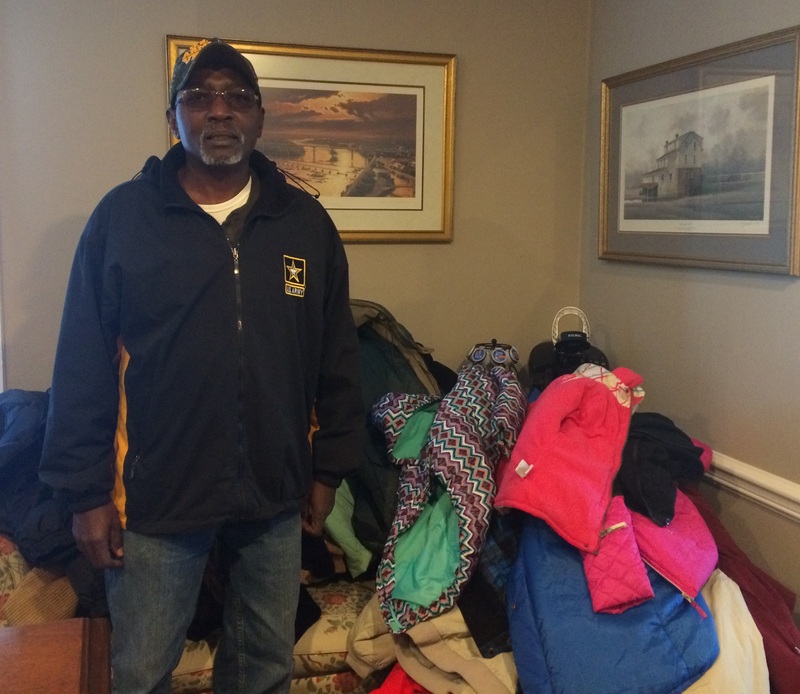 Just last week, members of First Morning Star Baptist Church in Bena, VA, donated 45 coats. Church member Edward Washington brought them in, and asked that as many as possible go to the Gloucester United Emergency Shelter Team (GUEST). Mr. Washington’s timing was perfect because GUEST had some immediate needs, including a family of eight planning to enter the shelter shortly. This week, Ken Gibson visited the Gloucester United Emergency Shelter Team (GUEST) to deliver the coats from First Morning Star and many others to GUEST clients. GUEST clients were so appreciative to get warm coats in their exact sizes. They proudly put them on for photos, and said many times how much they appreciated all those who gave. 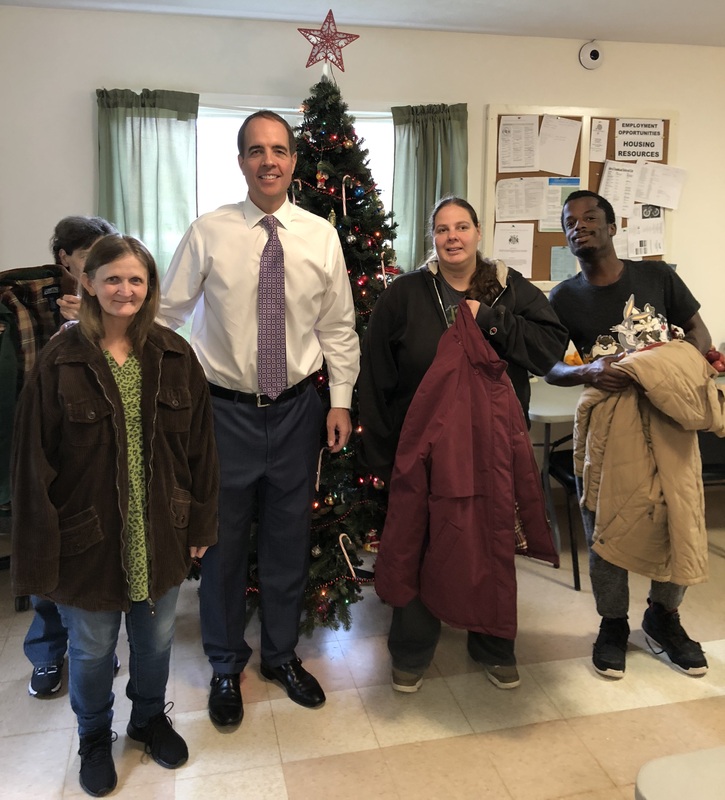 GibsonSingleton partner Ken Gibson visits the Gloucester United Emergency Shelter Team (GUEST) to deliver the coats from First Morning Star and many others to GUEST clients. Our coat drive continues until Friday, Dec. 21. After that, people can always give directly to the Salvation Army in Gloucester or many other worthy local organizations. For the fourth year, GibsonSingleton Virginia Injury Attorneys is hosting our Annual Coat Drive and asking everyone to drop off new or used coats from 8:30 a.m. to 5 p.m., Monday through Friday, at our office: 4073 George Washington Memorial Highway, Hayes. We have set a goal of giving at least 500 coats to people in need, and we are offering free ice scrapers and Christmas ornaments to all who donate. More information about the coat drive is available at GibsonSingleton.com, or by contacting me at [email protected] or (804) 413-6777. First Morning Star Baptist Church member Edward Washington brings in coats to donate to help others.